We need to train our dogs to better handle such situations as they are confronted with this on a daily basis. On NolongerWild, let’s check out the best dog training books to show you how to do just that. Before we dive into how you should train your dog, we should first consider the why and what our goals are. This is not always necessarily just for a puppy. We recently got a new edition to our family, and she is older without any type of puppyhood training or previous affectionate owner that she could bond with. Let me tell you, an old dog can learn new tricks! In this case, it’s obviously good for everyone involved as there won’t be any unexpected messy accidents inside the house that may cause friction. Although guilty dogs are funny, it is not a nice feeling as we all know. To show me when she really does have to go. Re-enter the latest member of our household: Jacks. She didn’t get any positive attention when she was little, which is one of the reasons why we have adopted this Jack Russell. This makes her frustrated simply because she doesn’t know what to do. ​I want to teach my dog, Jacks, what is not acceptable behavior in the correct fashion. Jacks acts out and next thing I know my new patent leather shoe has found itself without a lifelong partner chewed to shreds. As dog parents, we also need to know why ours dogs may be actively destructive (or whatever behavior results). I find that if I fully understand the problem, it's often easier for me to naturally follow up with appropriate responses and the best dog training methods like positive reinforcement or using a clicker. To find out the root cause, if possible, of behavioral problems which in turn promotes bonding. To teach Jacks what is not acceptable behavior in the correct fashion. To curb future destructive/dangerous/embarrassing behaviors and actions. This includes socializing with both humans and other dogs and discipline. To have her follow certain commands which link directly into obedience dog training. To eliminate stress caused by Jacks feel guilty again for chewing my shoes. I have heard it said that there is no bad dog, only a bad trainer. Your pooch needs to listen to you when you command something and react accordingly. For example, the instruction “Sit” will stop your pooch from bolting into the street or through the front door the first chance he/she gets. Again, Jacks has done that. I was late for work a few times chasing after her in the street because she doesn’t understand “Come” either. She may have thought we are playing. Another reason why this type basic command dog training is necessary is that my girl can’t stress out anymore because she will know what action is expected of her. This already helps in curbing her misbehavior and mischievous. To be able to tell Jacks what to do and she will listen and obey. To teach her to understand the meaning of important basic commands. Generally, when people think about dog training it is assumed it is always just training of the dog. But what if the tables are flipped? Perhaps, it should be the dog owner that should be trained. We also need to learn how best to look after our doggy children. This includes diet, basic needs, grooming etc. Even if you have had dogs before, not all dogs and breeds are the same. For this reason, it is good to understand the psychology of your pup. You will be able to listen to them back by reading their body language and behaviors. To learn the best dog care necessities for Jacks. To enhance the relationship and bond between us by adjusting my approach. Besides only showing off to our friend’s with our canine’s cool tricks and feeling very proud, dogs actually also enjoy pleasing you and they absolutely lavish attention received for a trick well done. As this is fun as well, it is another way to get closer to your furry companion. Furthermore, dogs also enjoy mental stimulation and a challenge - just like us! To teach my dog exciting tricks. To create a fun environment where Jacks know she will be rewarded. To keep her mind active through challenge and achievement. After driving myself nuts on Google with all the forums and advice (which may not even be from a professional and may or may not even work or be harmful), I decided to do it the old-fashioned way. That is to get a dog training book. Please note that most of my library is digital these days so E-books are just as splendid to me as the real thing. Initially, I would have just considered a general dog training book with everything in one paperback, hardcover or Kindle edition book like Dog Training For Dummies but I am a girl who likess to her homework and extensive research. This is, however, a good buy if you do want an all-in-one. Please note that is very generic and may not be your cup of tea if you are not into homeopathic medicine. Takes a few minutes to download once ordered online. Mine only took 5 on a slow internet connection and I could view House Train Any Dog comfortably on my iPhone. It is also Mac and print-friendly. A complete set of detailed and easy to understand instructions for training adult dogs and not just puppies which I found extremely useful. Back by a 60-day full money back guarantee should dog training techniques be unsuccessful. The dog training shows results within a week making it fast and easy for me to fit dog training into my busy schedule as my exams are looming. Besides stating being in the business for four years and the techniques in the eBook are used by the world’s best dog trainers, there is not much information about the authors. Personally, I like a bit of background. This dog training book helped me with various other goals as well such as: - How to ensure my dog is happy and well nourished. - Learning to understand Jacks better. - Teaching obedience. - Secrets to Dog Training Audio Book: Great for listening to in the car when I am on my way to work. 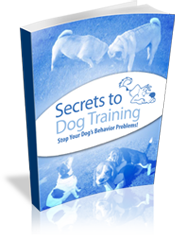 - Secrets to Dog Training Video Book: I like to see other people in action with dogs. This 30-minute long video helped me better see what we both are aiming for. - Secrets to Becoming The Alpha Dog eBook: By delving a little into the doggy psyche, this eBook shows how to establish yourself as the alpha of the household. - Unlimited Online Consultations: This is super because I always have a lot of questions. Now I can just ask the author or other professionals when I am stuck. It is backed with a full money back guarantee after 60 days. I must admit the only con about this specific dog training book and free gifts by Kingdom of Pets is that I didn’t discover all this earlier. Not only does it show me how to correct problematic behavior but it was a great source for the many different aspects listed in my goals. 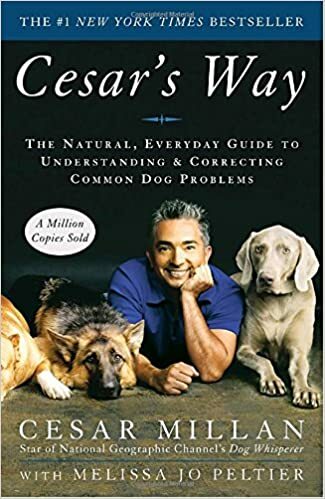 With several TV shows on National Geographic’s Channel like Dog Nation and Dog Whisperer With Cesar Millan as well as the Cesar’s Way blogs, I like the author who is a figure in the dog world and I have trusted for a while. Besides curbing problematic behavior and obedience dog training, this book also gives sight through dog psychology in understanding the why and how to doggy whisper. With loads of anecdotes from long standing clients of Cesar and plenty of personal tales, the book reads more than a novel or autobiography than a concise dog training book guide. Although it was an enjoyable read, I won’t recommend it to someone who is looking for a short and sweet, to the point dog training book. The tricks are rated in regards to the level of difficulty which is good for us to set realistic goals for Jacks and myself as a trainer. Dog training is laid out clearly in steps with visual aids. Kyra performs with her stunt dogs and has written numerous dog training books. 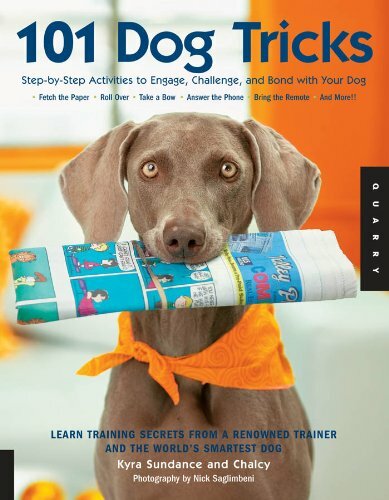 This book is for tricks only and doesn’t cover several areas like the other dog training books. Some may consider the methods used a bit outdated but this is just personal preference. The good news is that after reading all best dog training books on my list and implementing the methods that I can most certainly say my efforts have paid off well. 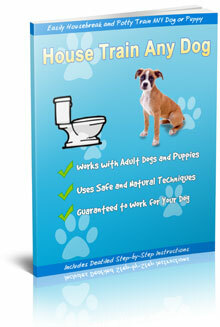 • Potty-trained: Nasty surprises and guilt trips are a thing of our past since I downloaded House Train Any Dog. • Respondent to basic commands: She can “Stay”, “Come”, “Sit” and more. • Great at some tricks: Although she can’t quite get a soda for me out of the fridge, she can do other cool tricks that I taught her from 101 Dog Tricks. My favorite is “Bang! Bang! You’re dead!” which is a definite crowd-pleaser. For me, I have also learned new tricks and changed how I do certain things as recommended by Dr. Patricia B. McConnel. This has been terrific for bonding as companions. I hope that you were also able to achieve your goals like me with this list of best dog training books.